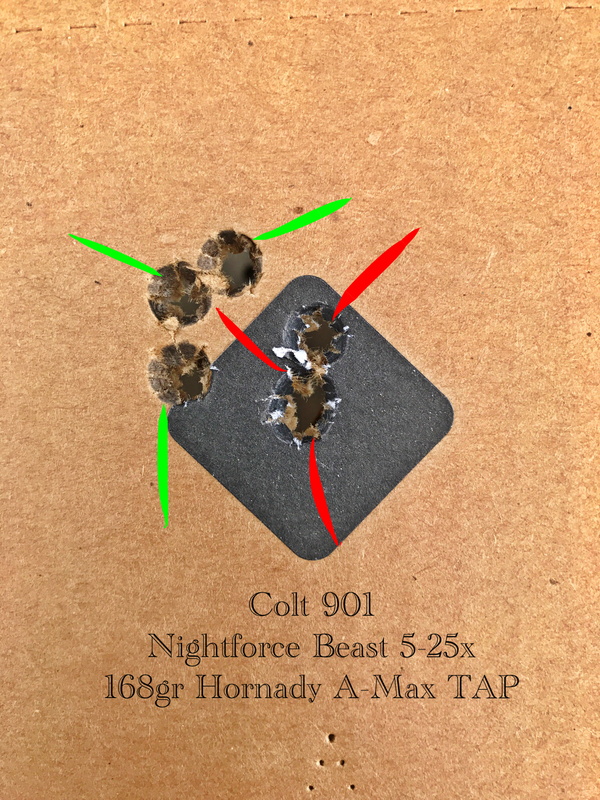 Playing with a couple of different scopes lately on my Colt 901. I've been running a Leupold Mark 6 3-18x scope with H59 Reticle on it for the past couple years. Recently acquired a couple new scopes to play with. 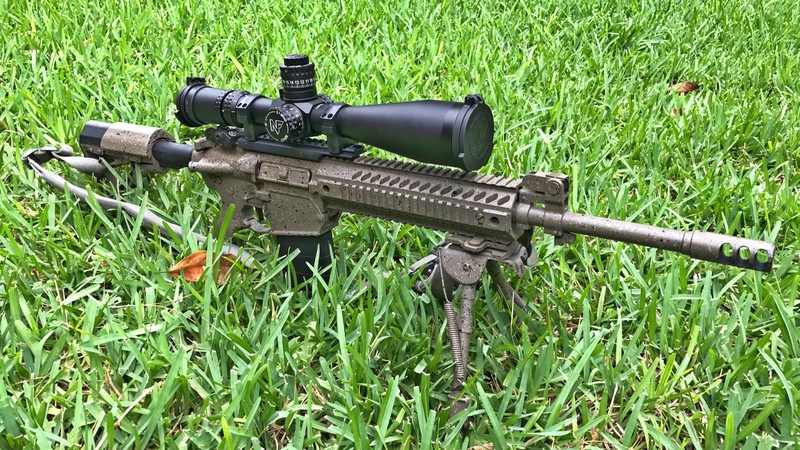 Nightforce BEAST 5-25x with The MIL-R F1 Reticle. Talk about one extreme to another!! I have not been a fan of Nightforce for several years. 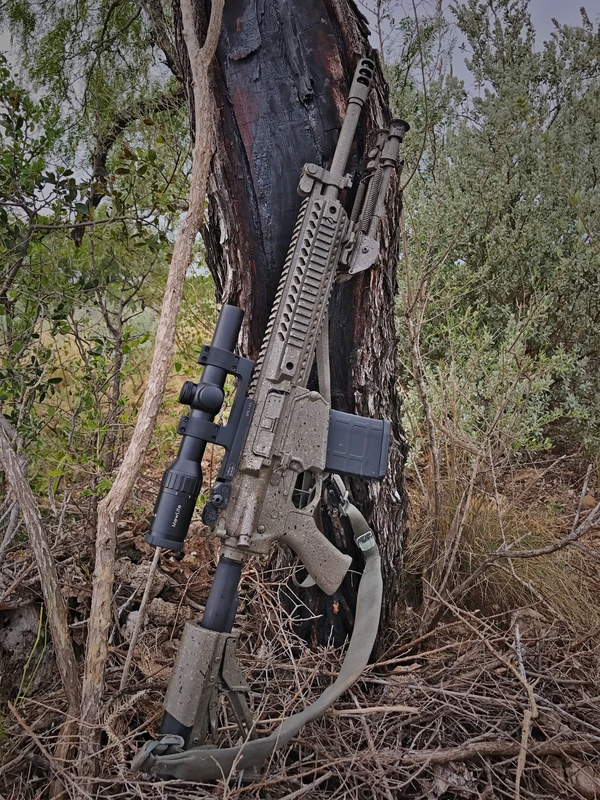 They have great glass, but I have seen and been a part of breaking 3 out of 5 scopes and Nightforce wouldn't fix any of them without excessive cost. This one, however, is quite possibly the clearest glass I've ever looked through. It has a lot of features and I'm still trying to figure them all out. The reticle I have is all but useless to me for what I intended. But, other than that........it's quite exceptionally nice. 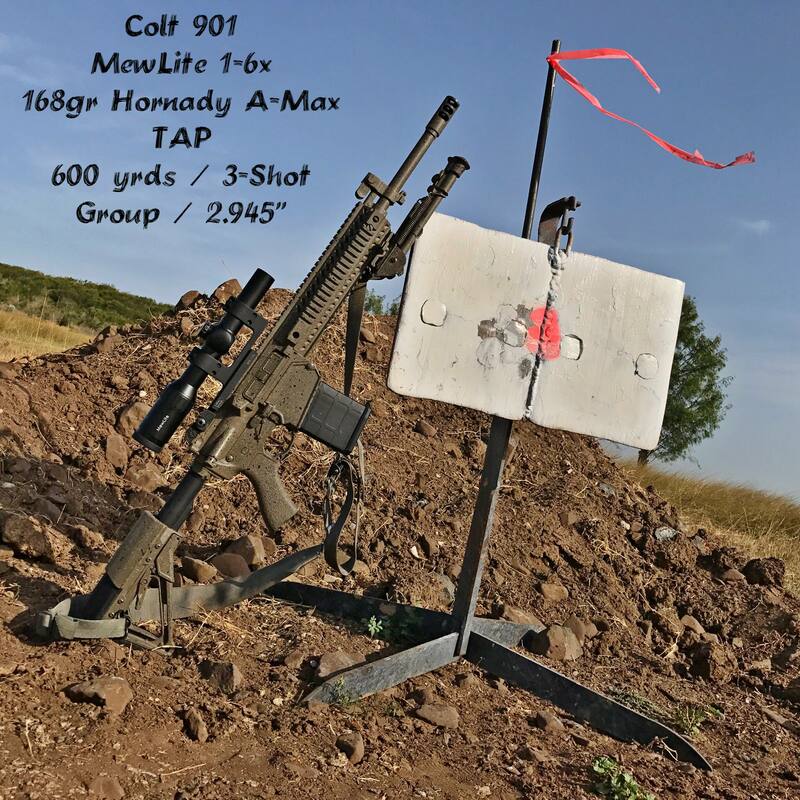 Ran it out to 800 yards on a 1.5 mile stress course and it did alright. But, it's lack of windage Mils was glaringly obvious and I might as well of had an old school mil dot reticle. 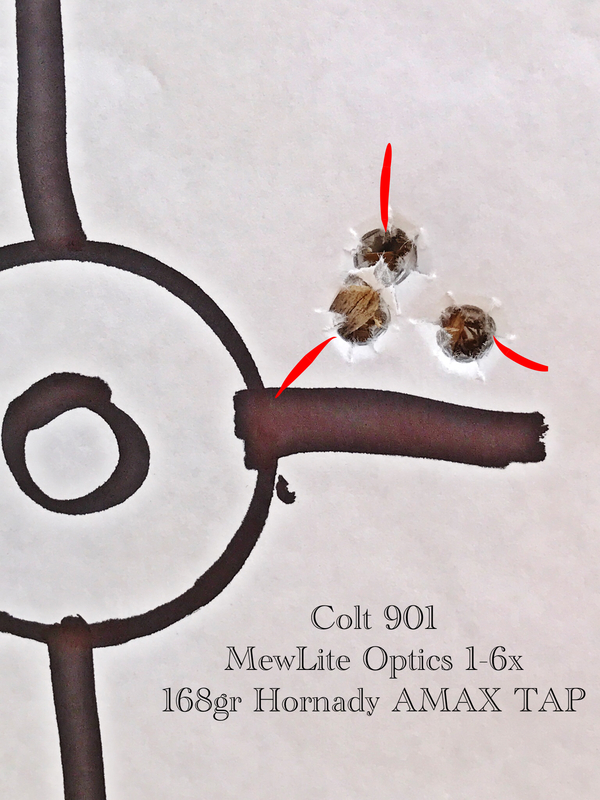 This weekend, I put the MewLite 1-6x scope on the rifle and zeroed it today. Quite a different quality of glass. Some blurriness and swirled edges at high power, its advantage later in the 1x and illuminated reticle. A little more fitting for what I like to use this rifle for. The turrets seem to track well at 100 yards, at least. Tomorrow, I am going to shoot the MewLite out to 600 yards if possible. I looked at the distant targets today and the clarity wasn't great. But, I didn't shoot as the livestock was in the way. I've got a few more tests to do with both scopes as well as another I'm testing. Kind of of an ongoing process. Stay tuned. What is the price on the kitty scope? One of the biggest differences, for me, is the eye box on cheap scope versus high quality. I can see a difference in clarity but that doesn't bother me nearly as much as a super narrow window for holding my head. That is the one thing I actually really like about the scope. It has a very generous eye box and field of view. Problem is, I haven't been able to find them for sale anywhere yet. So, I have no clue what they sell for. I wish the MewLite had exposed turrets, but it doesn't. However, it does have finger adjustable turrets that are numbered and able to be set to zero with the use of a coin. You just have to take the turret cap off to do so. Not a bad thing, I guess. Just don't lose the cap. I will probably get some heavy duty Velcro to put on the tops of each cap. Then, when I take them off, I can stick them to the side of the gun or scope for safe keeping. The Velcro is brilliant. Some day when I grow up I want to be as smart as you Zee. Then, you'll effectively have the IQ of a rock if you do. He's from Oklahoma. He's got the rock IQ covered. Having recently spent several days in the part of OK closer to where your in-laws come from I totally get your disdain for people from this area. You really shouldn't discount the entire state because you married into a family tree that looks like a flag pole. Seriously, headed east one of my trailer tires decided it didn't want to live any longer. Saturday morning I head into town to find a new so I have a spare for the return trip. I stopped at a bait shop to ask where the tire shop was, the ole boy tells me and I go on down the street to the True Value, tire shop, mowers sales, tool and equipment rental. There are three guys that kind of look like they work in the tire shop, all three of them could have been bait shop guys brother. The tire brothers get me all fixed up and I go down to Dollar General. The checker lady at DG could have been bait shop and tire shop guys brother as well. Curious about what went wrong with the broke night force scopes. I have found the night forces to be durable and track well but optical quality lacking compared to other alpha glass. The turrets broke. Either spinning freely or the zero stop disengaged. Well, the cows had knocked over the 500 yard target, so I had to settle for the 600. I'm messing with a new ballistic program as well. So far, it's pretty wicked spot on!!! I have to say, I am pretty pleased with the MewLite. It's not the clearest scope I've ever shot. But, at 102 degrees this evening, the mirage was kicking as well. 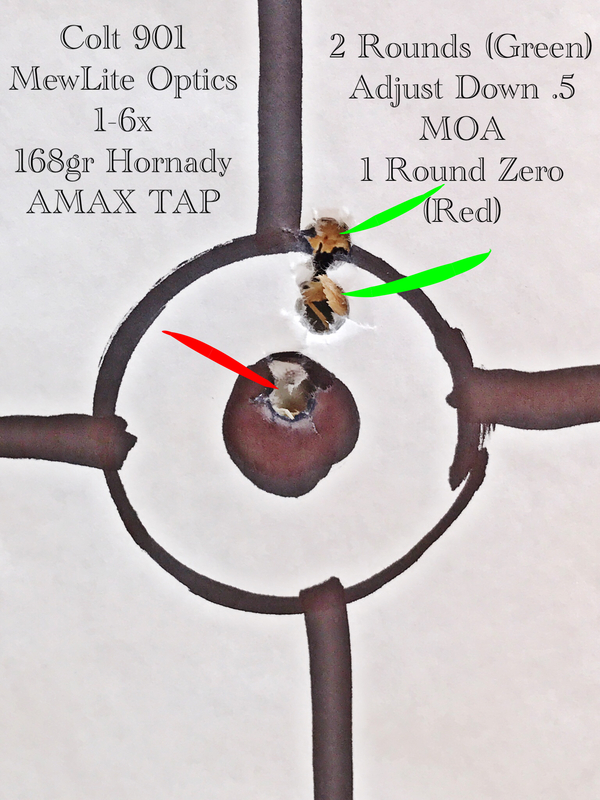 Even so, I dialed up 16 MOA (32 clicks) on the elevation turret, judged the wind, and let fly. The program was spot on. The turrets were spot on. 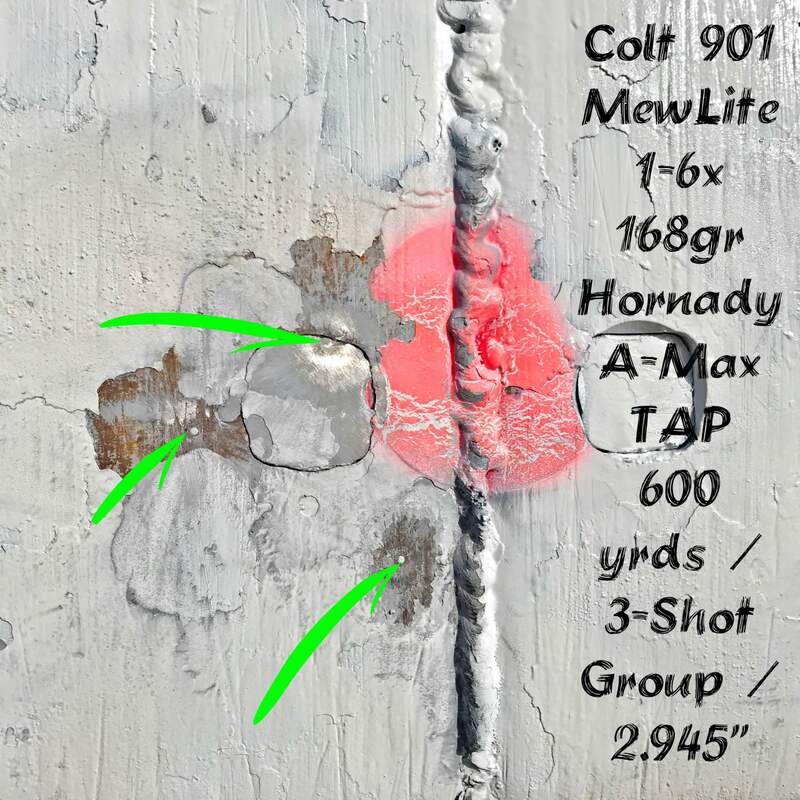 The reticle, while not perfect, afforded me a functional hold........not much I can complain about other than I wish the picture was a bit clearer. 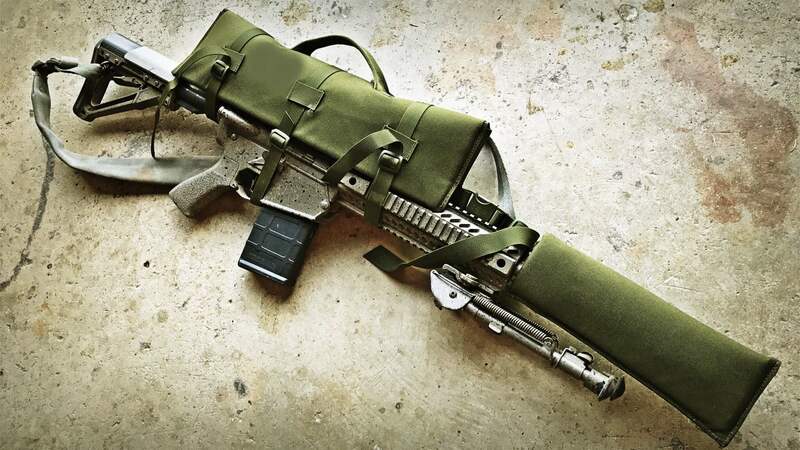 For what I plan to do with this rifle/scope combination..........I think it will work. At least on a controlled range. We will see how durable it is. See? Now you feel my pain. May not be that it's eastern Oklahoma, maybe it's northern Oklahoma. Because we all know what's NORTH of Oklahoma. I won't mention it though, so as to keep the residents of that state in the dark about this conversation. I gotcha. We don't want the coloring a strongly worded reply on the computer screen.
. Because we all know what's NORTH of Oklahoma. I won't mention it though, so as to keep the residents of that state in the dark about this conversation. Also regarding another piece of kit I've been using for years. I have several on different guns. They are great! They protect the scope. They protect the muzzle. 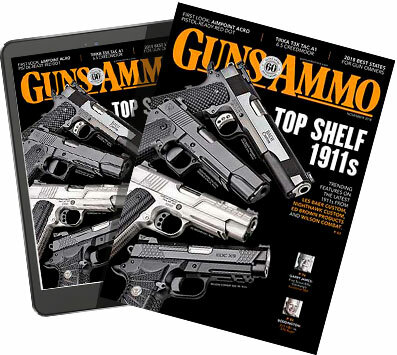 And they have a nice carry handle on top good for storage or bouncing around in the truck, crawling around in the ground. Mine me are made by Eagle. But, there are other companies. Good looking rig and your shooting is better than my eyes even with good glass. Damn good shooting with a 6x scope! 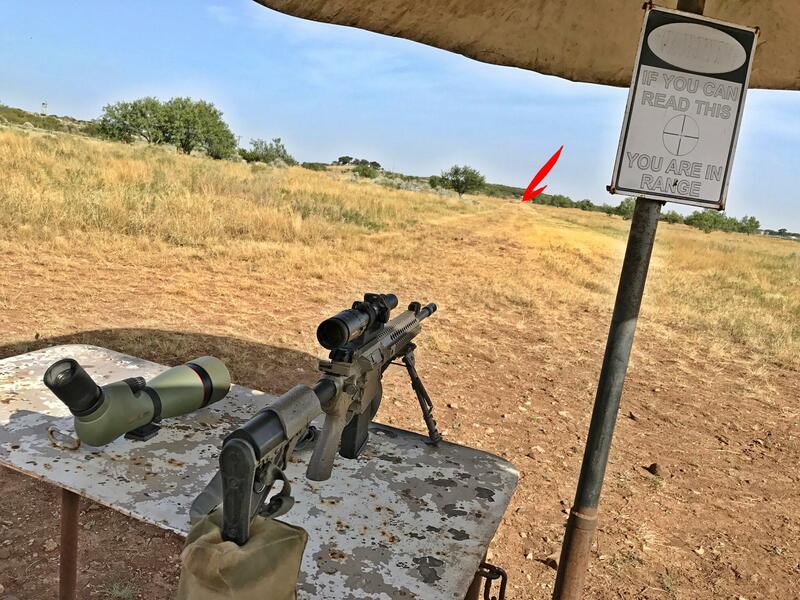 You could see the orange paint with that level of magnification at 600 yards? Yes. Wasn't the clearest picture. But, yes.